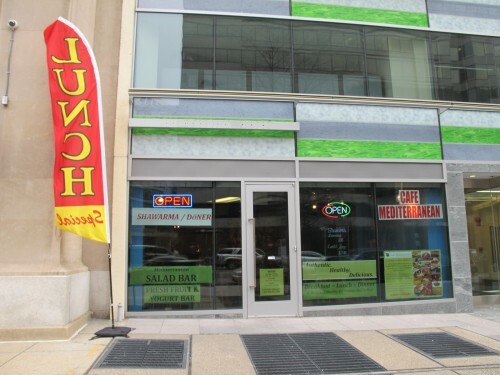 Cafe Mediterranean has opened in the Quiznos space at 1025 Vermont Ave, NW just north of K Street. You can see their menu here. Looks awesome. Anyone try them out yet?